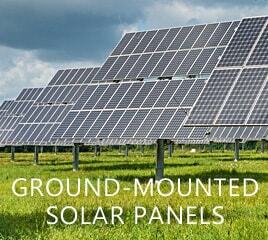 You pay outright and own the photovoltaic solar panel system. The federal incentives and Massachusetts incentives & rebates are all yours. With all of these incredible incentives, home solar system payoffs are typically 5-8 years - roof or ground-mounted. You do not receive any of the tax incentives and rebates. With a solar lease you agree in advance to pay a fixed monthly lease payment - think of it as a "rent" payment. This payment is calculated according to the amount of electricity generated by the system. Your electric bill will be eliminated or drastically reduced. The solar company owns and maintains the system. Unlike a solar lease, you do not pay to "rent" the solar panel system, instead you agree to buy the power generated at an predetermined cost per Kwh (Kilowatt Hour). Your electric bill is reduced a small amount, you do not receive any of the incentives and rebates. Both Lease and PPA are very similar, and are often referred as a lease agreement. How much does it cost to install solar panels in Massachusetts? 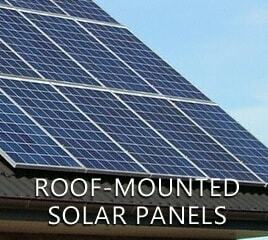 The actual cost of installing solar panels on your roof or ground mounted varies on many factors. On average, it may cost around $17,000 to $26,000 to have a 5KW solar system installed in Massachusetts - this is before the incentives are factored in. After all tax credits and rebates are applied, then the cost may be around $13,000. What incentives are there for solar panels? Can I write off solar panels on my taxes? Yes you can. You can take a credit of 30% of the total cost of installing your MA solar system and apply it to your federal taxes. As of now, this credit is available until 2021. We only use the most efficient and durable solar panels built to last 50 plus years, and have insured 25 year warranties. We only use the best marine grade anodized aluminum mounts, best marine grade anodized aluminum capped rail racking (we are the only company using this racking system). Our solar installations do not void your roofs warranty. All our solar panels have a twenty five (25) year warranty, and are insured. The insurance is very important. For example, if the panel makers go out of business in 15 years, the insurance will cover your warranty for the remaining 10 years. Why Is It A Good Time To Install Solar Panels? 30% of the cost of the solar system as a tax credit or cash grant. This tariff based incentive program is paid directly by the utility company to the solar power system owner. 15% tax credit against your Massachusetts income tax (up to $1,000). MA homeowners are eligible for a 100% sales tax exemption on any solar equipment installed on a residential property. Massachusetts residents can take advantage of a 100% property tax exemption on photovoltaic solar systems used to generate electricity for a residence. Good for 20 years. With all these great incentives, going solar is an easy decision. Naturally, you'll have some questions about a solar photovoltaic system for your house. We can help you with any questions you have. Request a free evaluation so we can answer your questions and show you how much money you will save! As of late 2010, in Massachusetts alone, there were over 2,000 solar power installations which made up for some 22 megawatts (MW) of electricity produced within the state. The main reason why there are now as many solar power installations is because of the Commonwealth Solar Rebate Program set up by the state government. The Commonwealth Solar Rebate Program offers rebates for photovoltaics (solar panels) which in turn makes it much more affordable for many average homeowners to install them in the roofs of their homes. Boston, Cambridge, Framingham, Worcester, Lowell, Taunton, Norton, Quincy, Leominster, Brookline, Plymouth, Woburn, Randolph, Lexington, Marlborough, Beverly, Malden, Shrewsbury, Chelsea, Newton, Westerville, Foxborough, Concord, Woburn, Everett, Hudson, Milford, Waltham, Medway, Tewksbury, Weymouth, Methuen, Pembroke. Helios Solar Works, Schott Solar, Sharp, SolarWorld, SunPower (american company, panels not manufactured in the U.S.), Grape Solar. Canadian Solar, GE electric, Bosch, Evergreen Solar, Kyocera, LG Solar, Mitsubishi Electric, Samsung, Panasonic, Sanyo, Trina Solar, Renesola, Yingli Solar, Suntech, Grape Solar.